Should I be a sole trader or a limited company? So, you’ve made the decision to set up a business. How will it be structured? 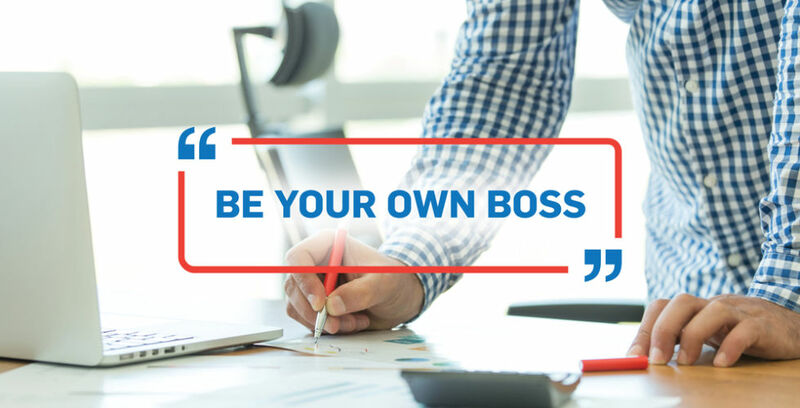 If you are starting up a business in Ireland, the first decision you will make is how the business will be structured and, more often than not, the choice will be between operating as a sole trader (or in a partnership), or registering as a limited company. As a sole trader, you will be legally inseparable from the business that you run. As such, you will have unlimited liability for any debts the business incurs. Simply put, this means that you may be held personally liable for the company’s debts. This is in contrast to being a director or shareholder of a limited company, whereby you have limited liability. This means you are only liable for the amount you paid for shares. However, setting up as a sole trader is particularly easy, in that there are no charges from the Companies Registration Office (CRO). Also, it is simple and cheap to wind the business down. A sole trader does not need to register as an employer (provided it is only you who works for the firm). Also, you don’t need to file returns to the CRO. There is more bureaucratic red tape to cut through when setting up a limited company. However, there are plenty of benefits. Limited companies find it easier than sole traders to get access to credit from banks and other lenders, and directors can avail of generous pension tax breaks, as well as a corporation tax rate, which is lower than the personal taxes that sole traders are charged. Limited liability. This means that the liability of shareholders is restricted to the amount paid for shares. Shareholders will not be held personally liable for company debts. A limited company is a separate legal entity from directors and shareholders. Generous tax breaks for directors on pensions. Limited companies are looked upon more favourably when it comes to accessing bank credit. The company is taxed at corporation tax rate. In the event of director’s death, shares can be passed on or sold, so the business does not have to cease. Bureaucracy and compliance rules are stricter than they are for sole traders or partnerships. Directors are employees so must register and file P30s and P35s at an extra cost. It costs more to open and run a business. It is expensive to wind up the business. The public can see filings, such as summary accounts, for a small fee. Limited liability does not apply to health and safety issues. Registration of a business name does not protect against others operating under the same name. For protection, you must register for a trademark. It is very cost-efficient and easy to set up and run this type of business. There is only a small cost to wind up the business. The sole trader or partnership does not have to register accounts with the CRO. A sole trader does not need to register as an employer. Public does not get to access accounts. There is no limit on personal liability for the debts of the business. Profit is taxed at individual rates, instead of corporation tax rate. Limited scope to avail of pension tax breaks. Individual contractors may not be able to work with sole trader/partnership, as they are restricted to working with limited companies. Not as likely to access credit from banks and creditors as limited companies. Business ceases with the death of the owner. This all depends on how you see your business developing, who will be involved, and who your clients will be. The choice is not as straightforward as it may seem. And remember, just because you think it might be better to operate as a sole trader does not necessarily mean you are setting your sights too low. For example, if you are planning on setting up as a micro-business in your home with few if any creditors and you’re unlikely to incur many third-party costs, you might be better off setting up as a sole trader as the cost of setting up as a limited company may not be worth it. However, if you are looking for extra capital to give your business the shot in the arm it needs to get to the next level, or it is likely you will need to borrow significantly to get your business up and to run, you should be seriously considering setting up as a limited company. The choice is yours, but be sure you consider all the relevant factors before taking the plunge. Remember that you can set up as a sole trader and change to a limited company at a later date. See the CRO company registration section to help you decide, and be sure to consult with a tax adviser. You’ll need to register your business for tax. There are different forms to fill out depending on the structure of your business, however, the Revenue Online Service caters to every business’s need. For more information, see the Revenue Commissioner’s article on registering for tax and the ThinkBusiness guide to businesses’ tax obligations. Investigate the differences between operating as a sole trader and as a limited company. This distinction will be crucial to the success of your business. Make a decision on how you will structure your business, based on legal preferences, cash flow, and the type of business you are looking to run. Once you make up your mind, you’re ready to get started. Register for tax. This is a crucial part of setting up your business. If in doubt, check out the CRO and Revenue websites for more details. Everything you need is there.